The state does not track concussion breakdown for high school athletes. 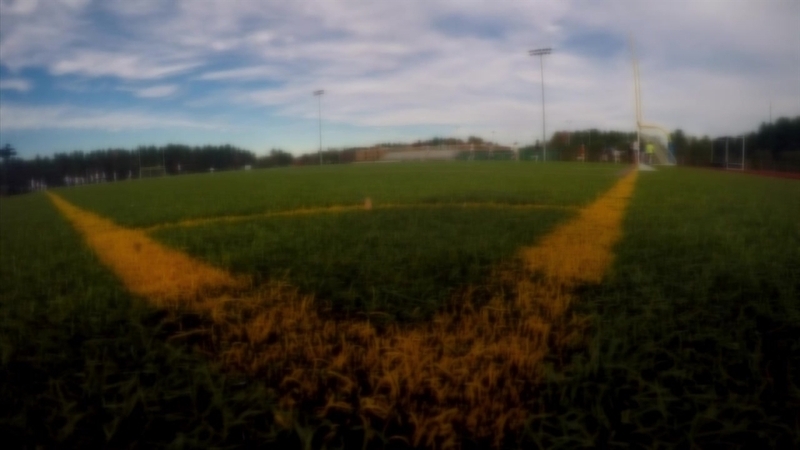 More than 1,800 student-athletes have reported concussions in 52 Connecticut public high schools, according to an NBC Connecticut investigation. The NBC Connecticut Troubleshooters found that the State Department of Education, the agency responsible for compiling concussion data, does not have that same breakdown. They collect data based on whether the injury occurred at a school-sponsored event or outside of school and do not require schools to report head injuries by sport and gender. Many districts statewide do keep track of concussions by sport and gender. Some coaches and administrators said that data can help guide schools to better protect students, like Laine Blankenburg, a former Berlin High School soccer player. When Blankenburg started playing soccer, she knew she wanted to reach her full potential and never thought a routine play during her sophomore year at Berlin High would turn into her last. She collided heads with her opponent after they both went up for the same header, ending her soccer career and forcing her to miss more than three months of school as she recovered. It's been six years and she still gets migraines, often triggered by bright lights and loud noises. Sophia Pascon, a senior on Hall High School’s soccer team in West Hartford, has a similar story. While Pascon’s concussions showed milder symptoms, her last concussion was her fourth. Both Blankenburg and Pascon both sustained injuries that are not often tied to girls sports. When Snedaker started her non-profit, Pink Concussions, she wanted to learn more about who suffers concussions in Norwalk Public Schools. Her data, collected between August 2014 and June 2015, shows 111 total concussions, or roughly 1 percent of the district’s 11,000 students. Girls consisted of 57 of those 111 concussions, slightly more than the 54 from their male counterparts. The Troubleshooters wanted that data for all Connecticut high schools, so we requested concussion information from every public school district from September 2013 to June 2015. After repeated emails and phone calls, 52 schools — about a third — got back to us. Football ranks highest overall, with 474 reported concussions. However, girls tally higher in sports played by both genders, like soccer, basketball and lacrosse. Doctor David Wang treats and studies concussions and said our data is consistent with the national trend, which suggests gender is a factor. He points to theories that show girls might have higher concussion rates because their necks are weaker, because of hormonal changes or that boys under-report injuries. However, he said, none of those studies tell the whole story. Wang’s research shows male and female brains are wired differently, meaning the male brain might not recognize concussion symptoms as clearly as the female brain can. That doesn’t mean boys aren’t getting them. “What if the guys are having issues with concussions, but they don’t feel it as much?” Wang said. Frassinelli said the Department of Education will consider collecting data specific to sports. In the meantime, he suggests parents review the student and parent consent form to better understand concussion symptoms and prevention. See the student and parent consent form. Click here for concussion data compiled in the Troubleshooters investigation (2013 to 2014). Click here for the concussion data from the Troubleshooters Investigation (2014 to 2015). Disclaimer: Please email Christiane.Cordero@nbcuni.com for any inquiries into our dataset. The data reflects 52 Connecticut public high schools, in correspondence with requests sent by NBC Connecticut between August 10 and October 14, 2015. NBC Connecticut did not receive the requested information from 80 school districts statewide. Some districts only provided concussion data for the 2014-2015 school year, when the State Department of Education began requiring schools to report such information. Those school districts are not included in NBC Connecticut’s 2013-2014 dataset.